We are a global leader in the world of powersports vehicles, propulsion systems and boats built on over 75 years of ingenuity and intensive consumer focus. Our portfolio of industry-leading and distinctive products includes Ski-Doo and Lynx snowmobiles, Sea-Doo watercraft, Can-Am on- and off-road vehicles, Alumacraft boats, Evinrude and Rotax marine propulsion systems as well as Rotax engines for karts, motorcycles and recreational aircraft. We support our lines of product with a dedicated parts, accessories and clothing business to fully enhance your riding experience. With annual sales of CA$5.2 billion from over 120 countries, our global workforce is made up of approximately 12,500 driven, resourceful people. Other speakers to be confirmed. The 10th Arctic Business Forum will be organized 9. 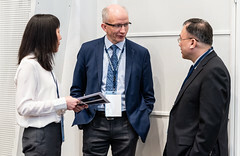 – 10.5.2019 at Rovaniemi Finland. 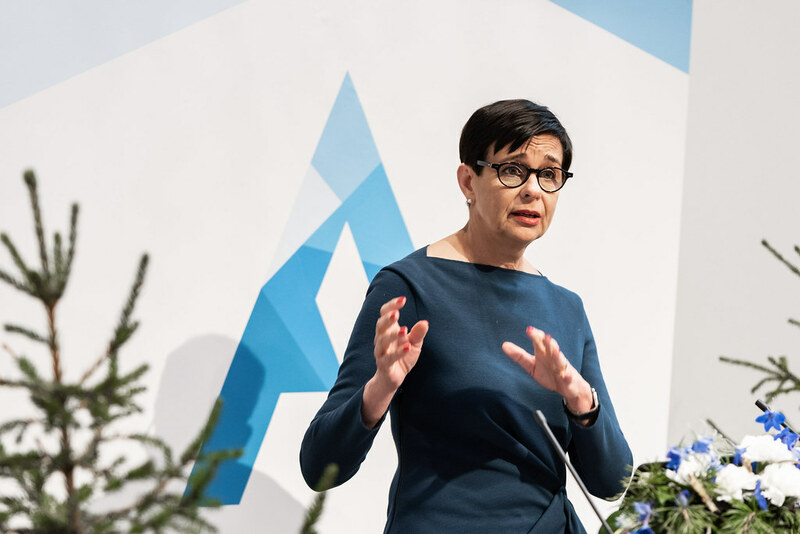 The theme for this year’s forum is Responsible Growth in the Arctic. 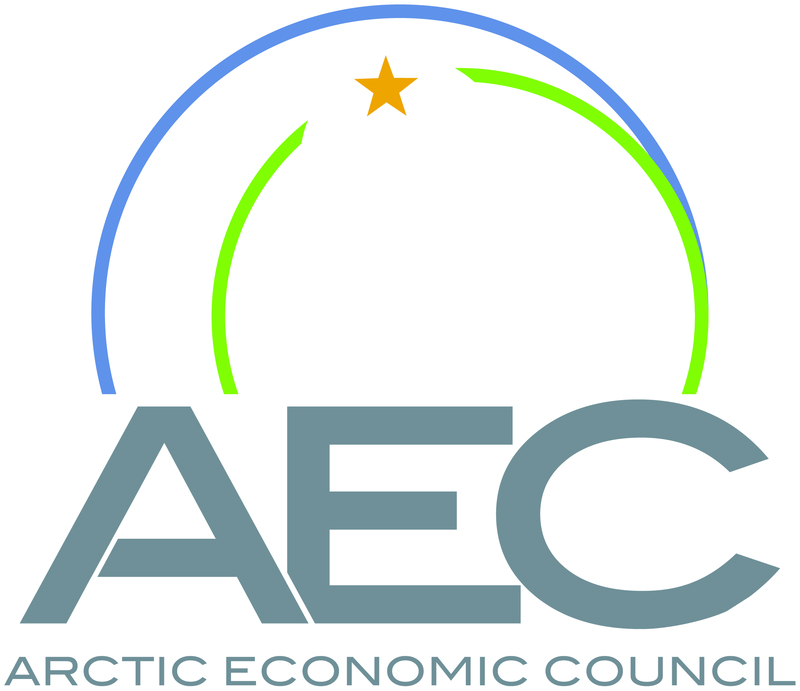 The Arctic Europe holds investment potential worth of at least 162 billion euros. In the forum will be presented the latest news in business development in this region. 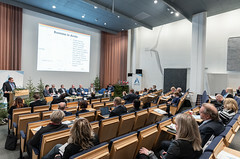 The speakers in the Arctic Business Forum are the key representatives and stakeholders on various branch of Arctic industry. 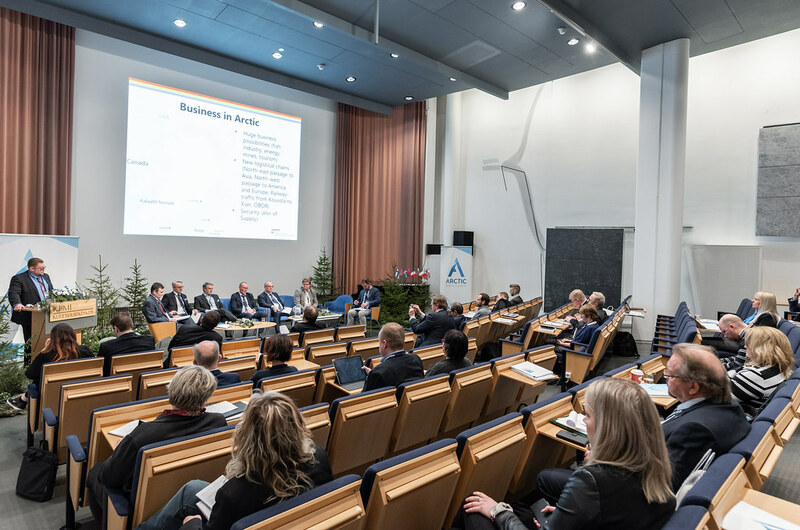 The global and local trends at stake are addressed at the Arctic Business Forum. 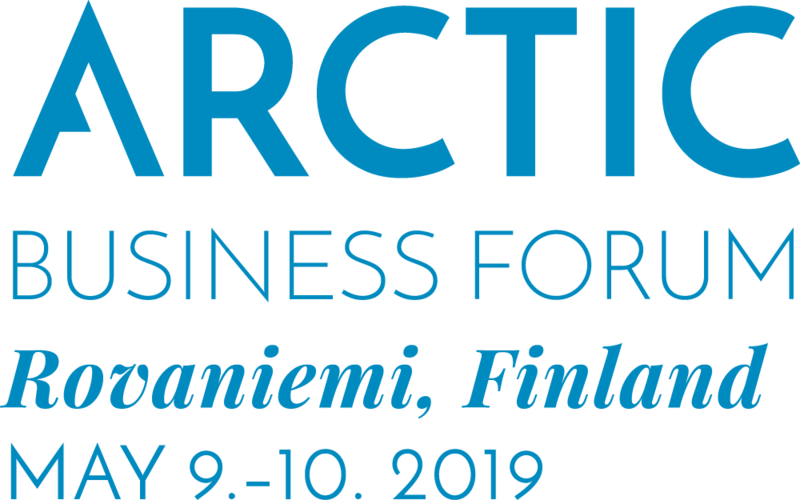 Welcome to the Arctic Business Forum 2019 to bond with other Arctic business representatives and stakeholders working for the Arctic prosperity. The registration to the ABF 2019 is open! 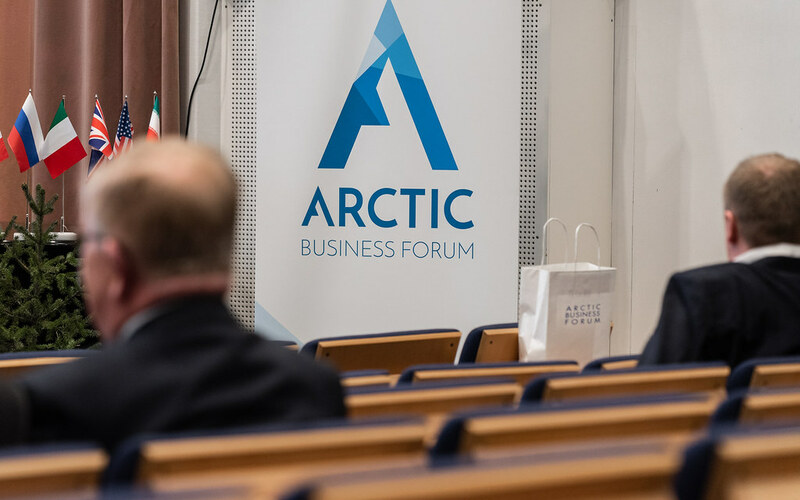 Please follow us in social media and subscribe the Arctic Business Forum Newsletter (bottom of the page) to get the latest information of the 2019 Forum, the date & place and themes. On the right side are introduced the ticket types to the event. Prices and other possible happenings included to participation are updated when the registration opens. Partnership and exhibition opportunities at ABF2019! Are you interested in becoming an ABF Partner for the 2019 event? 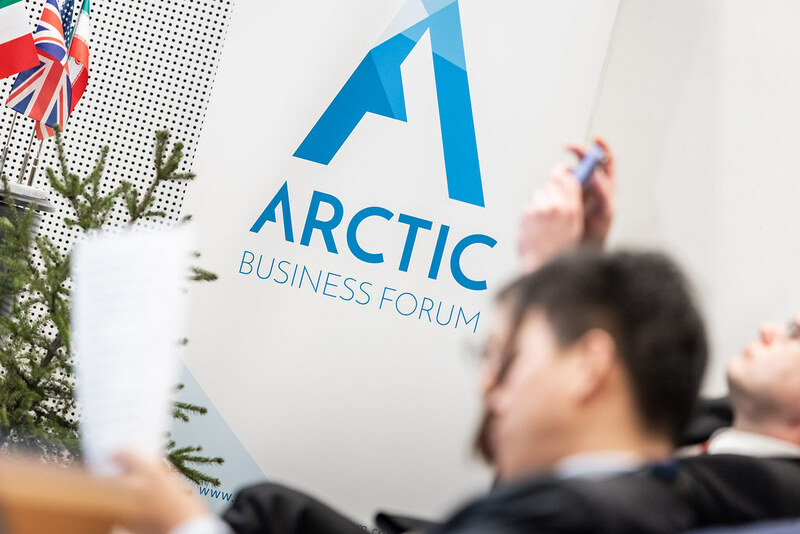 With an ABF Partner deal you will be able to maximize your company’s visibility throughout the Arctic Business Forum 2019. More info coming up! When booking the room, use the code “ABF”. The prices include breakfast including organic products and wireless internet. Valid until 16th of April 2019. When booking, use the code “ABF”. Prices include breakfast including organic products, as well as wireless internet. Valid until 16thof April 2019. When booking the room, use the code “ABF”. Prices include breakfast and evening sauna.Valid until 26th of March 2019. Rovaniemi is the Official Hometown of Santa Claus and the provincial capital of Lapland, situated on the Arctic Circle at the confluence of rivers Kemijoki and Ounasjoki. Besides being a popular travel destination, the town is the commercial, educational, administrative, cultural and sports centre of Lapland. You can arrive to the city of Rovaniemi with plane, train, bus or with a rental car. 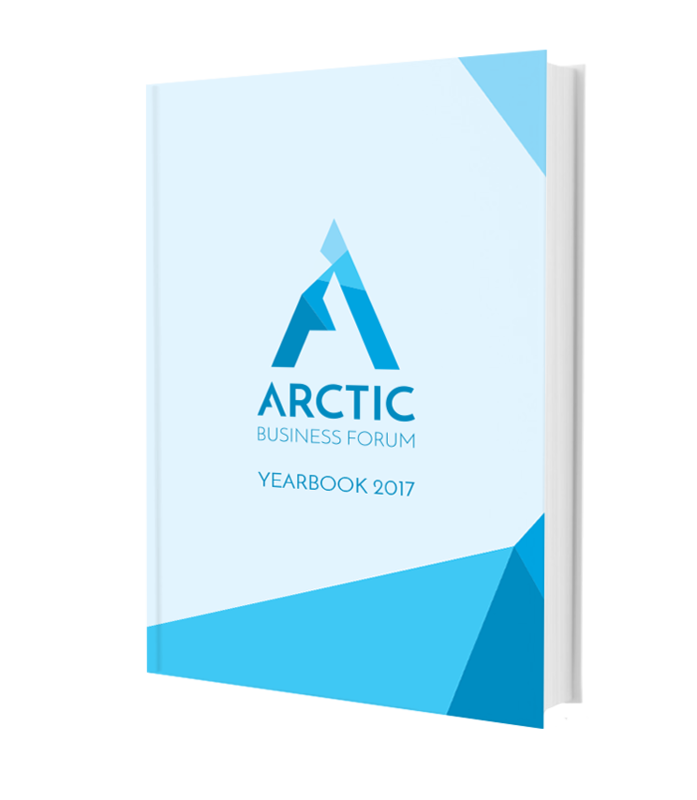 The 9th Arctic Business Forum Yearbook is an overview of the European High North investments and business development published in association with the Arctic Business Forum. 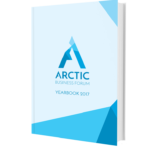 The Yearbook 2018 by Lapland Chamber of Commerce addresses Arctic cooperation, policies and business, as well as an estimation of European High North investment potential for the same time frame. Regionally the Yearbook covers the Northern parts of Finland, Sweden and Norway as well as Murmansk and Arkhangelsk regions in Russia. 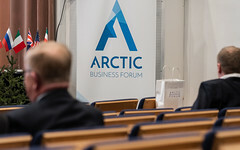 We welcome all representatives of media to the 10th Arctic Business Forum! Follow us in social media to find out exactly when the newest photos and videos are available! 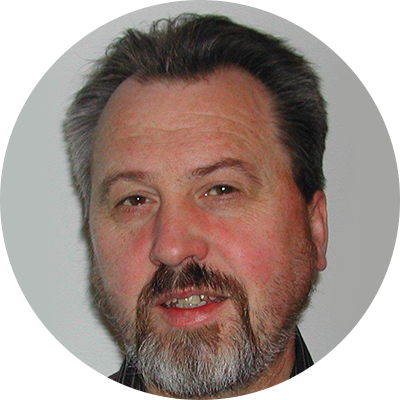 Antti Kuivalainen is the founder and the Chairman of the Board of Ahma Engineers group of companies. 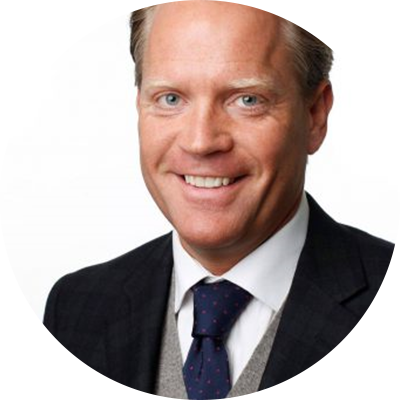 The newest subsidiary in the group is Forest of Lapland Ltd., of which Antti is the CEO of. 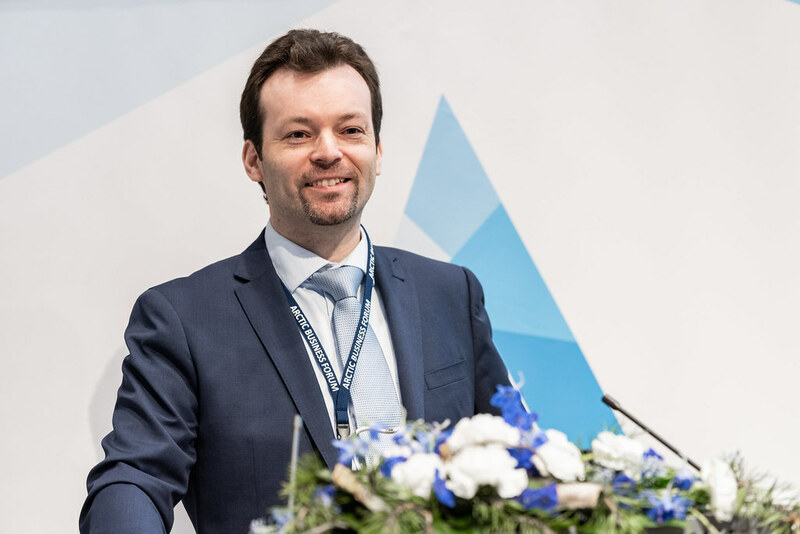 Forest of Lapland Ltd. produces standardized herbal extracts and natural active substances for pharmaceutical, health food and cosmetic industries. The extraction process the company utilizes neither requires nor uses any chemicals. All the raw materials Forest of Lapland Ltd. uses, come from Lapland, a world-known source for natural products, where berries and plants are mostly collected wild in their natural state. Katri Kulmuni is a first-term MP (Finnish Centre Party) in the Finnish Parliament and City Council Chair from Tornio, Western Lapland. 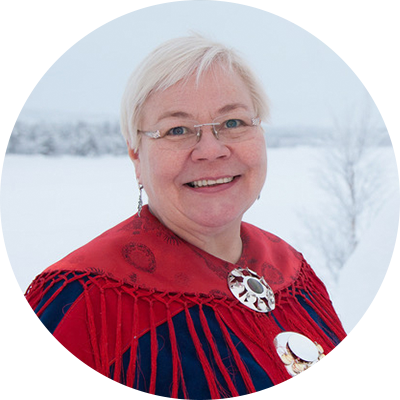 She holds a Bachelor of Social Sciences degree in International Relations from the University of Lapland. Ms. Kulmuni has also studied in St. Petersburg. 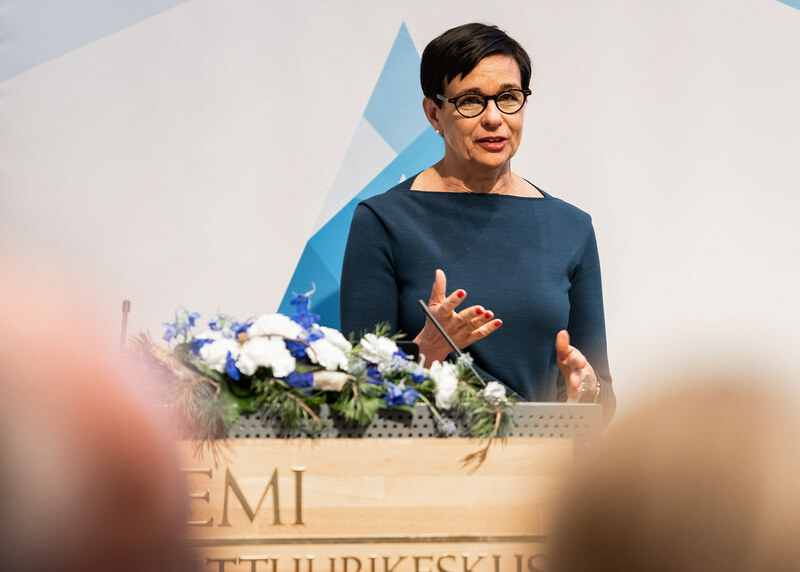 Prior to entering the Finnish Parliament, she has worked as business coordinator and as press assistant to the former Minister for Foreign Trade and Development Paavo Väyrynen. 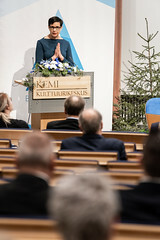 In the Parliament, Ms. Kulmuni is a member of three committees: Grand Committee, Legal Affairs Committee, and Commerce Committee, and a deputy member of Foreign Affairs Committee. 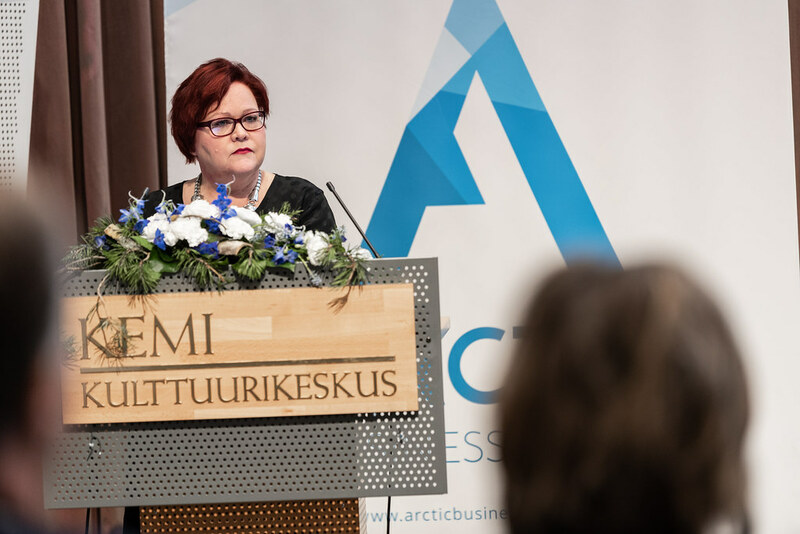 She is the current Chair of the Finnish Delegation to the Conference of Parliamentarians of the Arctic Region, and a member of Finnish Delegation to the Nordic Council. 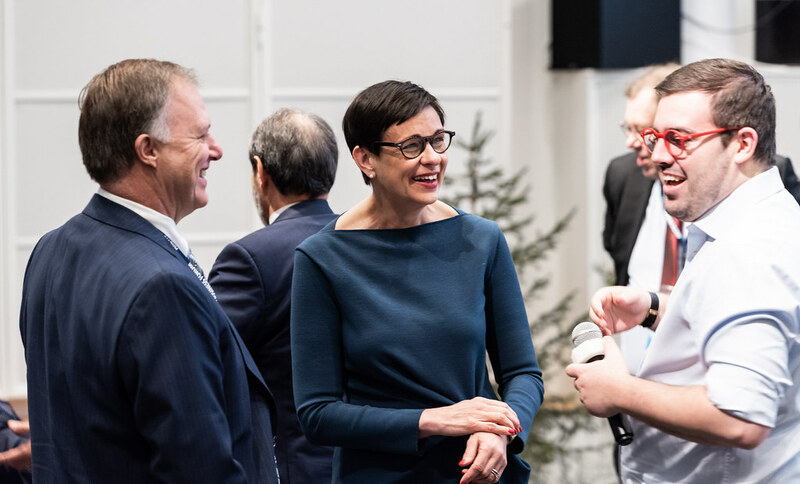 Ms. Kulmuni has a strong interest in Nordic and Arctic affairs and aims at an enhanced cooperation in all spheres of society. 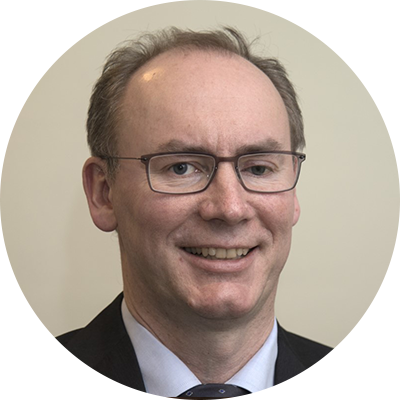 Ambassador Charles C. Adams, Jr. was born on August 25, 1947, in Belfast, Northern Ireland, where his father, a career officer of the U.S. Foreign Service, was on assignment. He grew up in many places, including Canada, France, Germany, Morocco, Senegal and Ghana. Adams received his bachelor’s degree in 1968 from Dartmouth College. He received the S. Pinkney Tuck Scholarship to attend Dartmouth as the son of a U.S. Foreign Service Officer. Between his studies he was a volunteer for the Peace Corps in Kenya from 1968 to 1970. He received his law degree from the University of Virginia School of Law in 1973. 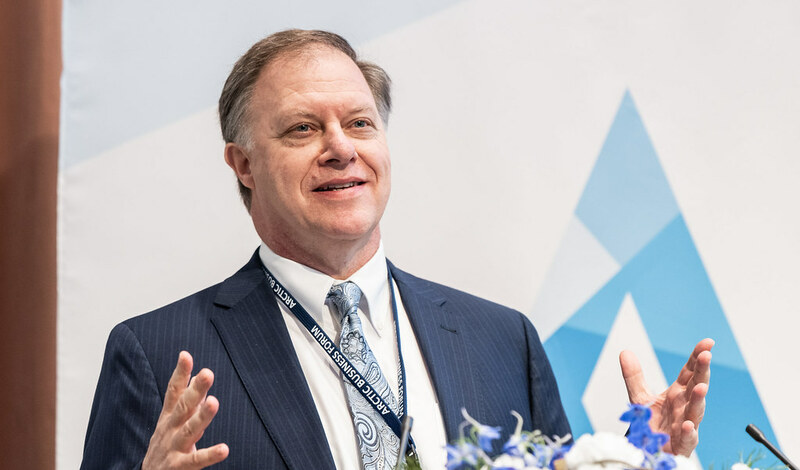 Before his nomination, Ambassador Adams was the managing partner in the Geneva, Switzerland office of the law firm Akin Gump Strauss Hauer & Feld since 2010. 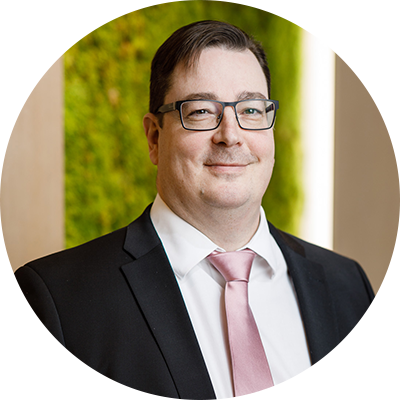 He was previously the managing partner of the Geneva office of Hogan & Hartson (2005-2010) and Winston & Strawn (1993-2005). He was an attorney in the Washington and Geneva offices of Jones, Day, Reavis & Pogue from 1986 to 1993. Adams began his legal career with Surrey & Morse, working in the firm’s Washington and Paris offices from 1973 to 1986. Ambassador Adams came to be ranked by various professional directories in the very highest tier of international arbitration practitioners worldwide. Adams is a member of the Virginia and District of Columbia bars, as well as the Swiss Arbitration Association. 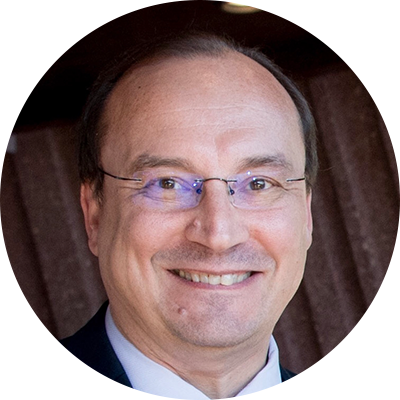 Adams speaks French, German, and conversational Swahili, and has a passive understanding of several other languages. 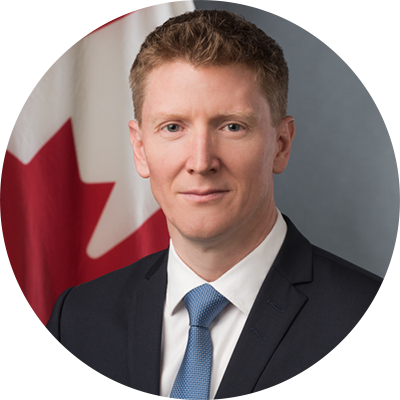 Ambassador Adams was nominated by the White House for his present position in July 2014, and was confirmed by the United States Senate on June 24, 2015. He arrived in Finland to take up his duties on August 3, 2015. 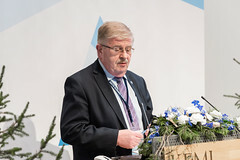 Pekka Koponen (b. 1967) is the Managing Director of Kaidi Finland which plans to build a EUR 1 billion biofuel refinery in Kemi by 2019. The planned refinery will produce 200,000 tons of biofuels per year, of which 75% will be biodiesel and 25% biogasoline. 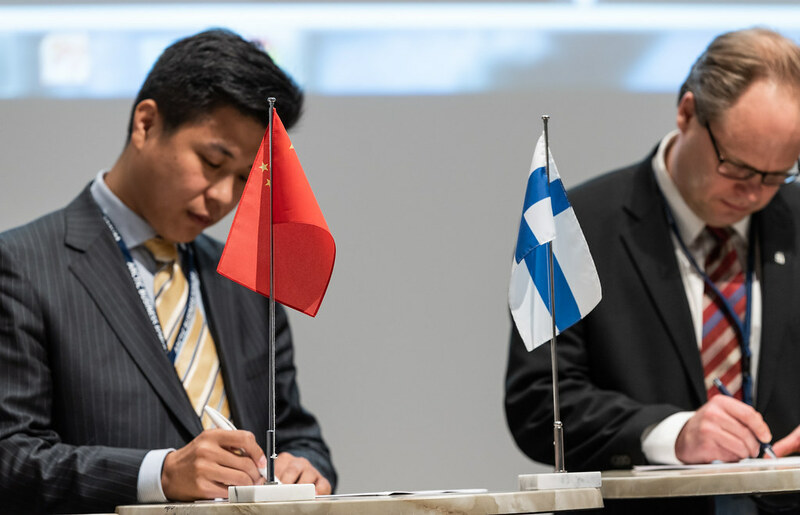 The second generation biomass plant will use energy wood as the main feedstock and it will be the first of its kind, not only in Finland but globally. When operational, the plant will be a showcase for clean, local energy that is produced sustainably from wood-based biomass. 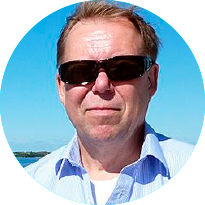 Koponen is also the founder of Spinverse Oy, which acts as Kaidi’s representative in Finland. 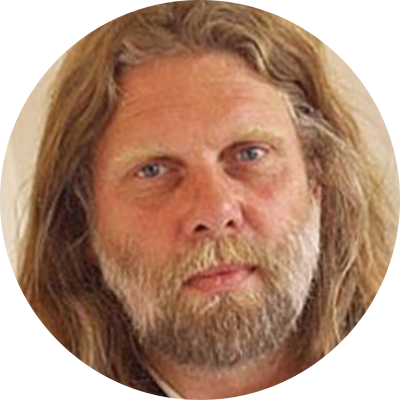 Prior to establishing Spinverse he worked in various high-profile management positions at Nokia. 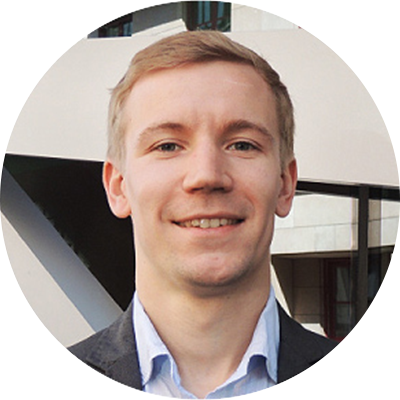 Koponen holds a MBA degree from Swiss-based IMD and M.Sc. (Tech.) from the University of Oulu. Lenita Toivakka was appointed Finland’s Minister for Foreign Trade and Development on 29 May 2015. She previously served as Minister for European Affairs and Foreign Trade from 24th June 2014. Minister Toivakka has been a Member of Parliament (National Coalition Party) since 2007, focusing on the economy, security and well-being in Finland and Europe. 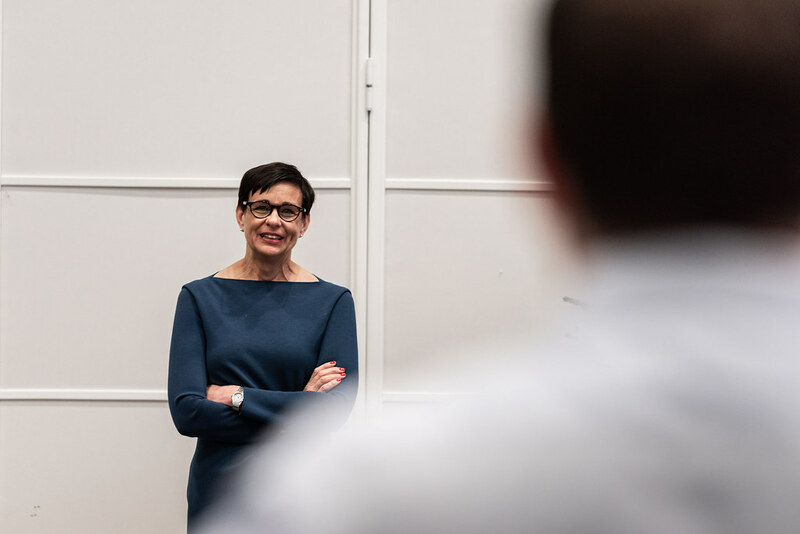 She has held several leadership positions in the National Coalition Party, including Vice Chair of the parliamentary group (2010-2014) and Chair of the Women’s League since 2012. Minister Toivakka holds Master’s Degree in Economics and Business Administration from the Helsinki School of Economics. 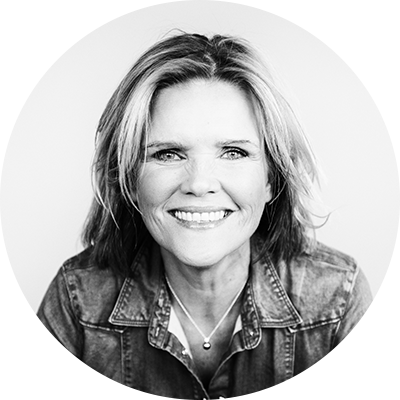 She is also a successful businesswoman and entrepreneur. 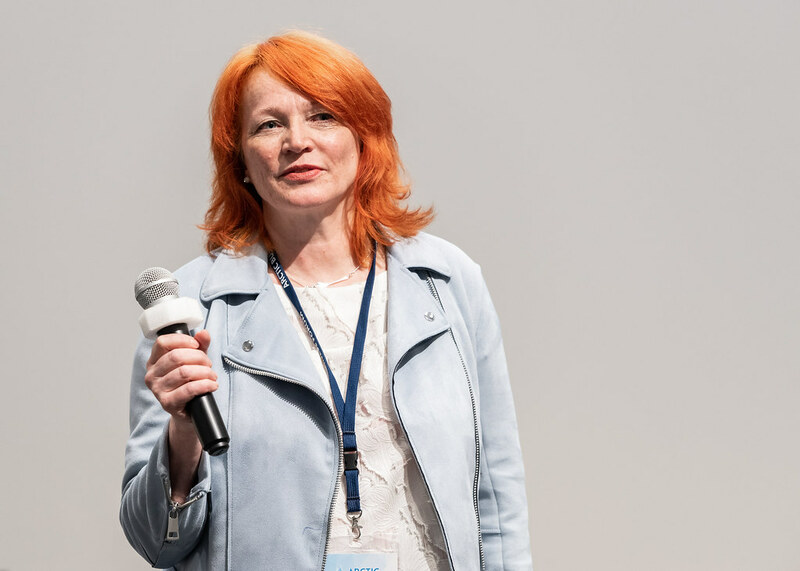 From 1991-1994 she served as marketing manager of A.Toivakka Oy, from 1994-2005 as K-Citymarket retailer, CM-Toivakka Oy and since 2005 as owner of CM-Toivakka Oy. 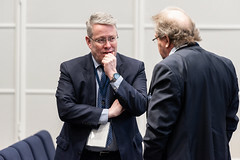 Minister Toivakka has served in several boards and associations. She is married and has three children. 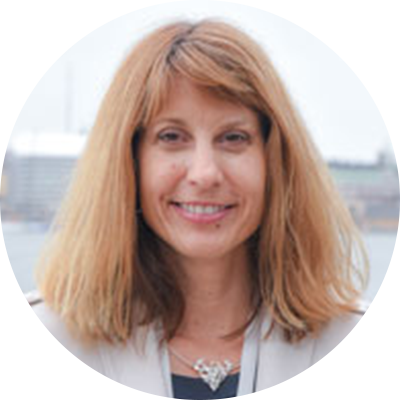 Prior to taking on her duties as Canada’s Ambassador to the Republic of Finland, Ms. Cooligan was the Commercial Counsellor at the Embassy of Canada in Berlin, Germany from 2010-2013. Ms. Cooligan holds a Bachelor of Arts (1988) from the University of Ottawa, with combined credits from Laval University. Ms. Cooligan speaks English, French, German and Finnish. Mr. Posio has been a partner of the Lapland Safaris Ltd since 1992. 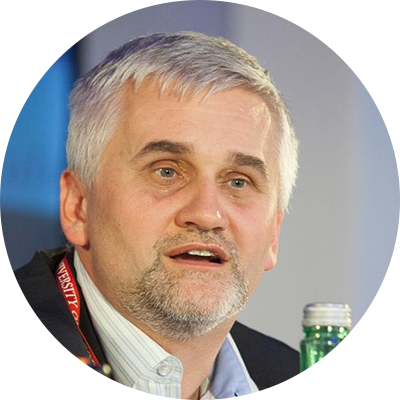 He has been the chairman of the board and specialized in marketing. 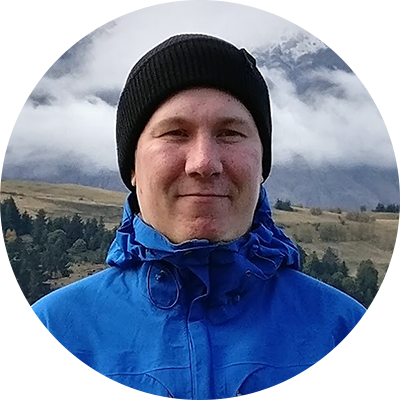 Even though Mr. Posio sold his share of Lapland Safaris Group Ltd in the autumn 2014, he continued to work in the company as Marketing Director until the end of September 2015. 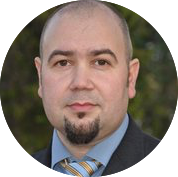 Currently, he works as a project leader in Visit Arctic Europe joint marketing project for region travel companies. Mr. Mika Riipi is the County Governor of the Regional Council of Lapland. He started in the position on March 1st, 2013. 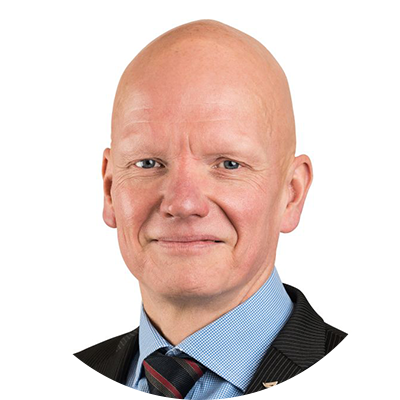 Previously, he has been the Municipality Director in Posio, town secretary in Haapavesi and senior adviser in the Municipality department at the Ministry of the Interior. 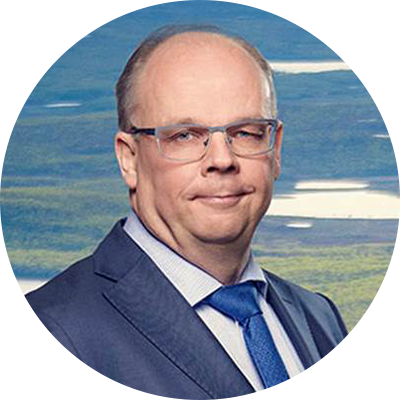 Ilkka Kauppinen is the CEO and one of the three partners of Arctic Warriors Ltd which is tapping into the superfood trend and natural product business with a series of products made out of arctic herbs, such as angelica and roseroot, without any artificial ingredients. 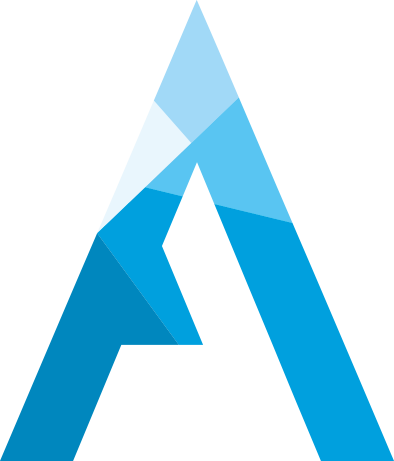 In 2015, Arctic Warriors was chosen as the most innovative rural start-up in finland by the Ministry of Employment and Economy. 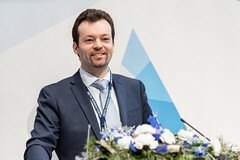 In his presentation, Kauppinen will shed light on what makes the arctic natural products extraordinary and hard to copy, as well as how these nature’s own jewels can provide new business opportunities from collection of raw material to refining and processing it into well-branded products with international market potential. 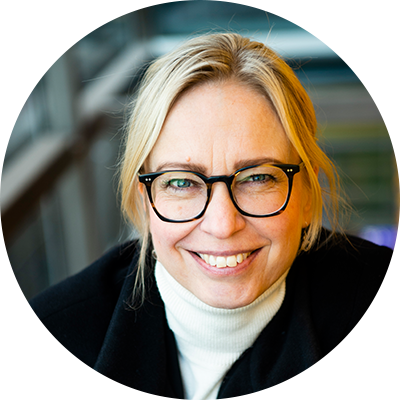 Kauppinen has over 15 years of experience as an entrepreneur and a business consultant with expertise in internet marketing. In his free time, Kauppinen can be found fishing, hunting or somehow enjoying the great outdoors of Arctic nature. Nafisa is a PhD candidate in International Relations at the University of Lapland and researcher in the Sustainable Development research group and NPE team at the Arctic Centre. 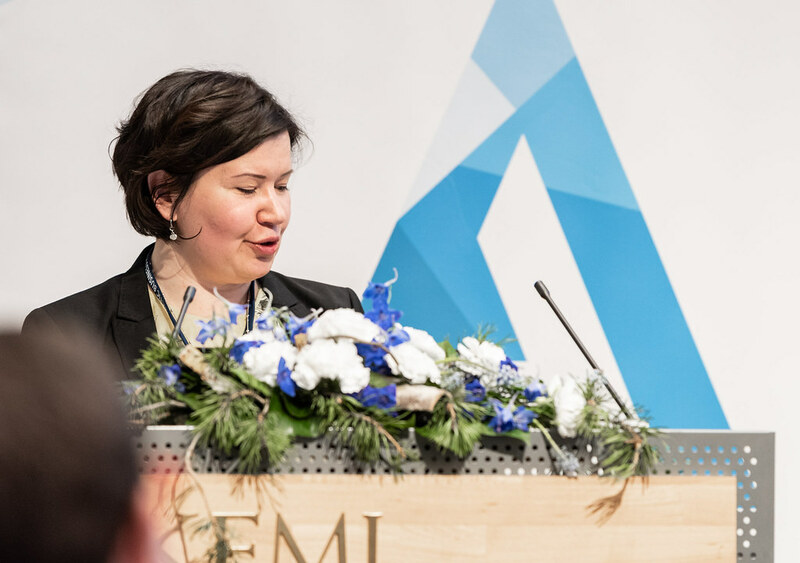 Nafisa´s research focuses on sustainable immigration policy in the Euro-Arctic and entrepreneurship as a model of northern political economy. Nafisa has been holding the position of founding chairperson of Arctic Immigrant Association in Lapland for three years. 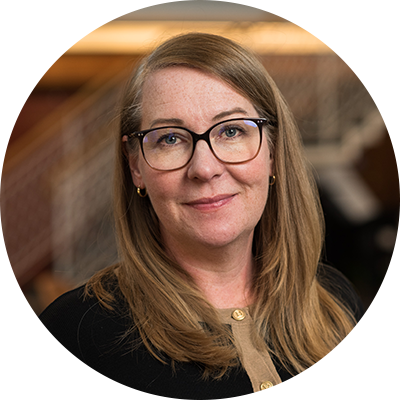 She is an active vice-chairperson in the Advisory Board for Ethnic Relations in Lapland and a distinguished member of National Advisory Board for Ethnic Relations which is maintained by the ministry of Justice, Finland. 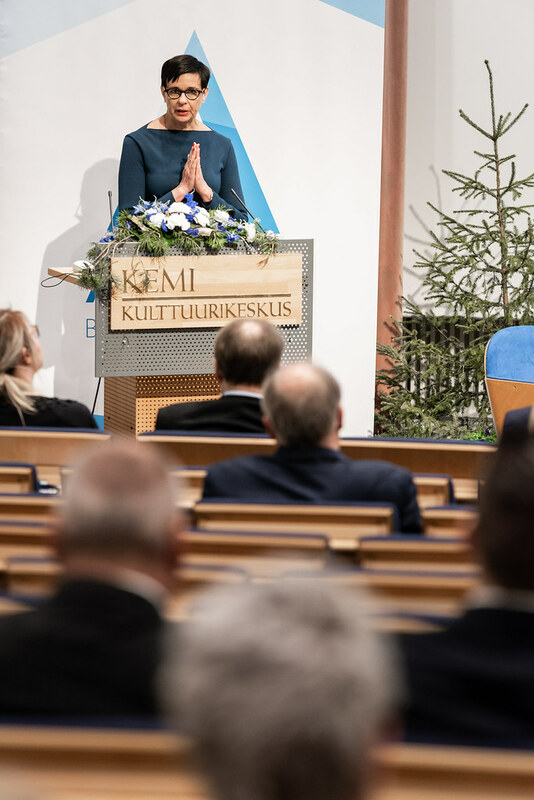 Currently, she is playing an active role in fostering integration of immigrants´ by holding the position of a member in the national AMIF-follow up committee which has been operating under the ministry of Interior, Finland. 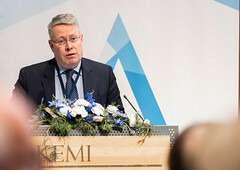 Mr. Nissinen has been the Mayor of the city of Kemi since 2012. 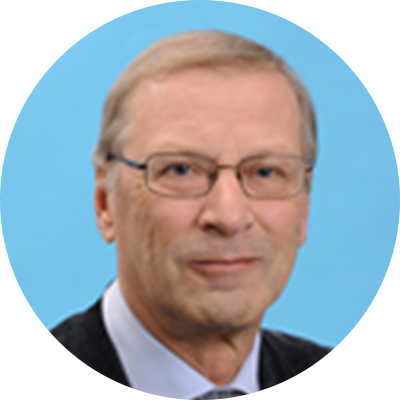 Prior to his current position he acted as a mayor of the cities of Pyhäjärvi and Ikaalinen in Finland. 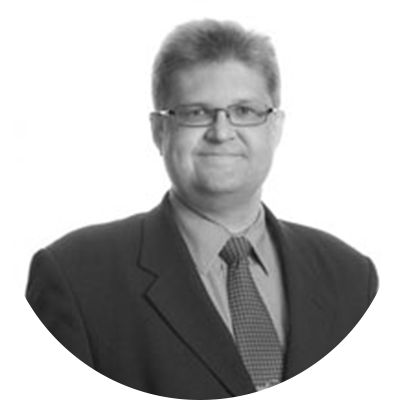 Mr. Nissinen holds a Master’s degree in Administrative Sciences. 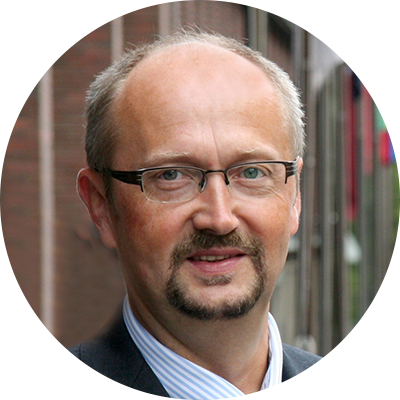 He is the chairman of the board of Digipolis – Kemi Technology Park and of Lapland university of Applied Sciences. In his free time Tero’s hobbies include tennis. Piia Moilanen is an Arctic Seas Programme manager at Tekes, in Finland. She is also managing Tekes Drone (RPAS) campaign. 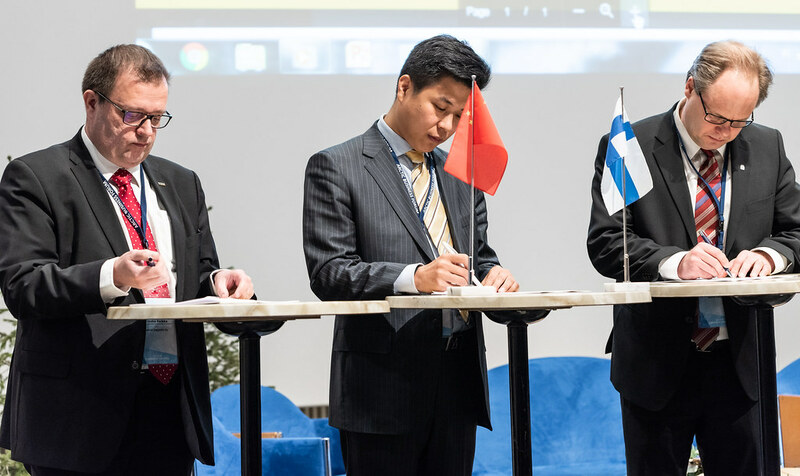 Tekes is the Finnish Funding Agency for Innovation and the most important publicly funded expert organisation for financing research, development and innovation in Finland. 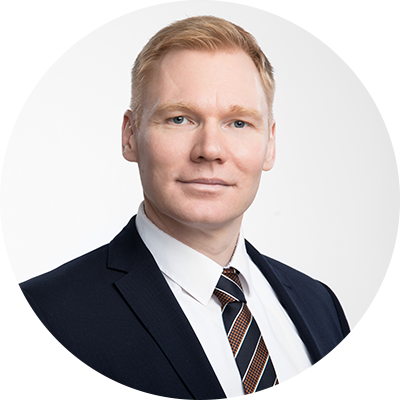 Moilanen has a MBA Diploma from the Helsinki School of Economics (2007), and a MSc (1995) and a Lic.Tech (1999) in Environmental Engineering from the Technical University of Tampere. 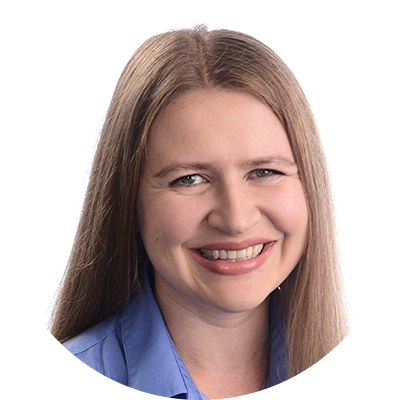 She has worked at engineering companies Soil and Water Ltd, and at Rejlers Ltd prior to Tekes. 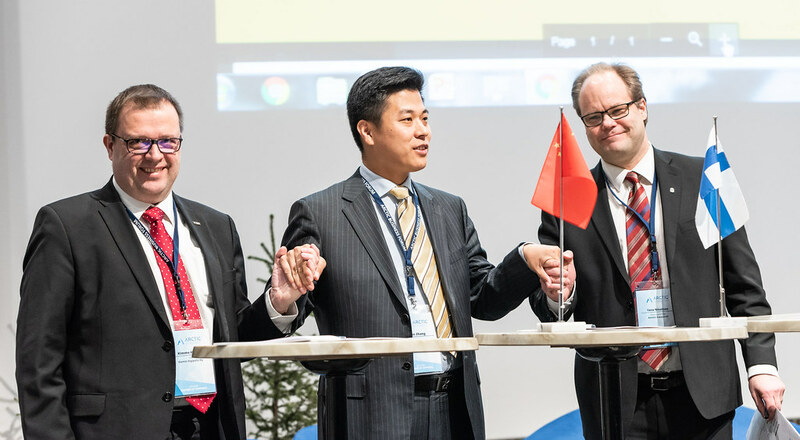 Moilanen has more than 20 years of experience in innovation, R&D-financing and cleantech. 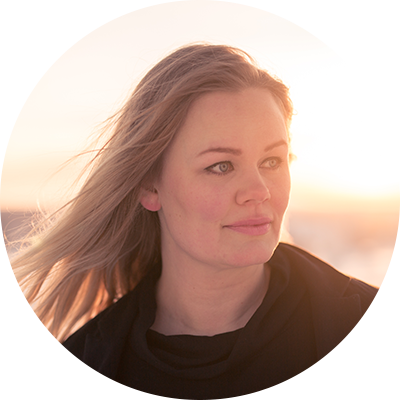 Her current interests include arctic and marine ICT and cleantech. Additionally, RPAS-applications and blue growth are the topics of interest to her. Itemqui dolo te autem. Optiis eaquam iliquae veni ducillab idem imint laborerat aut imi. miliquae nim aut offici repudaestium int omnihil excea dit magnit odit expe inctatur sit erene veraecae ditasit volupta temolore voloribus aut que volorem del eni omni re plit utendandus et voluptae dolut eicab inctur? Quis nesci untur, voluptis.